MINISTER OF State with responsibility for planning Jan O’Sullivan yesterday published a review report which examined complaints into seven local authorities. Ms O’Sullivan said the review found no evidence of criminality or corruption but had found weaknesses in the implementation of planning law and poor administration. ONE OF the key recommendations of the Mahon tribunal’s report last March was that a new office of planning regulator should be established, to oversee the implementation of planning policy and investigate “possible systemic problems . . . including those raising corruption risks”. 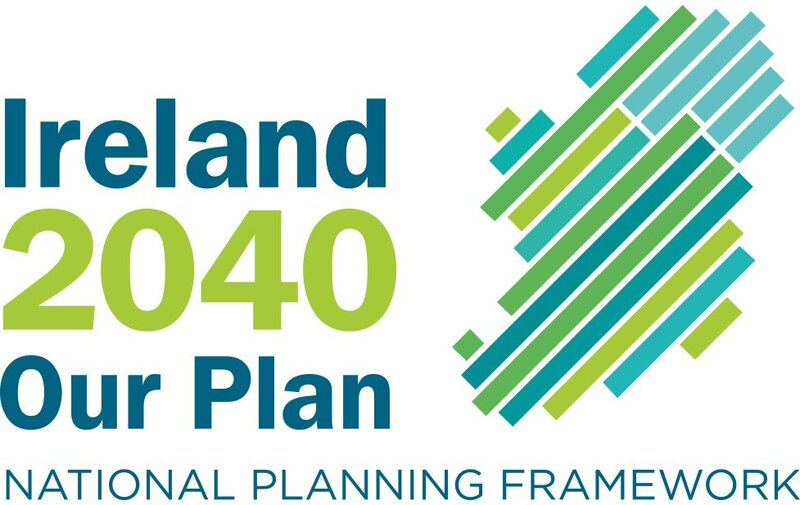 Although Jan O’Sullivan, Minister of State with responsibility for planning, said at the time that the tribunal’s report would inform her thinking in bringing forward proposed reforms, the planning review she published yesterday would suggest that an independent planning regulator is unlikely to be appointed. A review of complaints about planning in seven local authority areas by the Department of Environment has not found any evidence of corruption or abuse of public office by officials. Instead, it found areas of policy and planning where greater clarity, consistency and transparency is needed in order to improve the planning system. These deficiencies include a failure to correctly interpret aspects of planning law, a lack of transparency over decisions by planning authorities and an over-emphasis on the input of developers into local area plans. LOCALS in the Cork Harbour village of Ringaskiddy have been celebrating that an incinerator won’t be built in their midst. In the local shop, Denis Murphy said it was "disgraceful" it has taken this long to get a final decision on a planning application first lodged 10 years ago. "Look at all the money made by experts and lawyers taking part in all those hearings and all those court cases. Locals are pleased but you really have to ask questions about a planning process that carried on for so long." Just a few hours later, Indaver had published a statement inferring that they don’t see yesterday’s ruling as the end of the road. Many believe the waste management firm will lodge yet another planning application, taking into account the comments made by the planning appeals board in their ruling. Debbie O’Grady refused to be disheartened. She lives in the middle of the village and described the Bord’s ruling as "fantastic". "All the community here have supported the anti-incinerator campaign and we’re very proud of the work they have done. If we had any more hazardous industry in this place, I think it would just blow up. We have more than our fair share of chemical industries here," she said. Breeda Twomey and her husband, Ger, said they have campaigned against the planned waste-to-energy plant all over east Cork and the harbour area. "It just wasn’t the right place. We thought that all along and it’s fantastic to see the campaign paying off like it has today," said Breeda. Ger said the couple were fearful of how emissions from the planned incinerator or a fire at the site would blow towards their home. "We couldn’t sit here and face that kind of risk," he said. - November 2001: Indaver first lodges planning application with Cork County Council for incinerator. - May 2003: Councillors reject material contravention of development plan. Planning permission is refused. - June 2003: Indaver lodges appeal with An Bord Pleanála. CHASE demands oral hearing. - September-October 2003: Oral hearing results in inspector’s report citing 14 reasons why planning should be refused. - January 2004: An Bord Pleanála decides not to accept report, and grants permission. - January 2005: High Court gives go-ahead for judicial review. - November 2007: Adjournment sought by applicants pending outcome of a case against Ireland by the European Commission. - February 2008: Adjournment turned down by High Court, but appealed to Supreme Court. - June 2008: Appeal heard and judgment reserved. - August 2008: State and Indaver seek costs from residents. - November 2008: State drops costs against residents. Indaver keeps costs order but planning case dropped. - November 28, 2008: Indaver lodges application for hazardous and municipal waste incinerators under strategic infrastructure process. - April-June 2009: Oral hearing. - January 2010: An Bord Pleanála says it will ‘probably’ refuse permission for municipal incinerator, but will consider hazardous waste incinerator. - August 2010: Indaver submits new information, with 40% building size reduction. - Yesterday: An Bord Pleanála finally refuses the project. Minister for Health James Reilly said today he will bring the report of the review group on the national children’s hospital to Government shortly. The Minister was presented with the report by group chairman Dr Frank Dolphin and the members of the group at Leinster House today. Owners are putting off planned improvements to their houses with a surge in those seeking extensions to almost expired planning permissions. New figures show a 16% rise in the numbers of "extension of duration" in just 12 months — up from 702 in the first quarter of 2011 to 815 so far in 2012. The trend has been identified in the latest National Housing Construction Index, which is complied by Link2Plans and due to be released today. The extension facility was introduced in the 2010 Planning and Development Act to allow people who has secured planning permission that was about to expire after its five-year period to apply for an extension of up to another five years. Reasons set out in the legislation included commercial, economic, and technical reasons. Link2Plans managing director Danny O’Shea said the recent surge probably reflected the very different economic circumstances under which many planning permissions were first granted up to 2007. The index also shows the rate of decline in housing construction activity has eased slightly. It found the decrease in planning applications has slowed from 23% in the first quarter of 2011 to 20% so far this year. However, three counties recorded marginal increases: Donegal was up 2%, Longford up 3%, and Leitrim up 4%. The largest fall in applications was in Kildare and Kerry, both down 39%, with applications down 35% in Clare and 34% in Kilkenny. Kerry replaced Mayo in the top four of the poorest performing counties. Commencement notices have also shown a slight fall — down 1% to a 13% national decline compared to the last index. The largest fall is in Donegal, down 35%, followed by Monaghan, down 34%, and Galway, which is down 31%. Since the first index, Donegal and Galway have moved into the top three poorest performing counties, to join Monaghan. Eight counties have experienced some rise in commencement activity, with the largest percentage increase in Cavan, up 12%, Westmeath, up 13%, Waterford up 14%, and Longford up 56%. Link2Plans’ researchers examine every housing construction planning application and planning commencement notice in every county. Mr O’Shea said because they examine actual data, their index gives "a real time barometer" to sentiment in the sector. He said while there is a significant variation from county to country, this is a clear overall national trend in housing construction activity. "However the national variation in housing construction activity continues to be quite pronounced. "The two largest population centres of Dublin and Cork, have decreases in applications and commencements, however they are below the national average for the decline." Proposals to co-locate the children's hospital on the Connolly Memorial Hospital site in Blanchardstown, Dublin are being officially launched today. 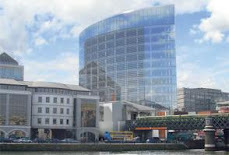 The plans are among those being considered by the review group on the national children’s hospital. The group's report is expected to be received by Minister for Health James Reilly by Friday. The group, chaired by Dr Frank Dolphin, was set up by Dr Reilly after An Bord Pleanála rejected the original plans for the €650 million hospital at the Mater site in Dublin’s north inner city. There will be significant reform of the planning system despite a Department of Environment review finding no criminality or corruption across seven local authorities. An external inspector will now oversee recommendations from the report which include altering guidelines for planning, and improving the transparency of decisions made by city and county councils. Housing Minister Jan O’Sullivan yesterday published the review. She said planning systems needed to serve communities, not developers, but said the review " did not find any prima facie evidence of malfeasance in any of the seven local authorities subject to inquiry". Former environment minister John Gormley initiated the review in mid-2010 in the cities of Dublin and Cork and counties of Cork, Carlow, Galway, Meath, and Donegal. The department has said a panel of six external firms identified later to do the review would have been too costly for the taxpayer. Instead, its own officials examined complaints about the seven local authorities and completed the report. Of particular concern were planning issues identified in Carlow, the constituency of Phil Hogan, the senior minister at the department. There were "significant irregular practices and administrative deficiencies" at the authority, it found. These partially related to ineffective enforcement by Carlow, variations in rules on development contributions as well as concerns about planning permissions. Other concerns cited in the report related to planning for high buildings in the Dublin 4 area and ambiguity surrounding pre-planning meetings with officials in Cork City. The report makes 12 main recommendations, including that planning permissions which contravene a local authority’s development plan should go to An Bord Pleanála for final consideration. Development management guidelines for councils will also be revised. An external reviewer — still to be hired — will oversee the review recommendations, report back to Ms O’Sullivan by December and also be given access to inspect the department’s actions, which were not reviewed for the report. Ms O’Sullivan said she would initiate recommendations on changes to planning systems immediately. This will involve changes in authorities for pre-planning meetings, local area plans, communication with communities, and legislation. An Taisce welcomed the report but said it hoped measures would be put in place to appoint an independently planning regulator. The recommendations needed "urgent and detailed implementation" in law, it added. Fianna Fáil claimed the report was nothing more than a "whitewash". The report had rowed back from the last government’s move to "instigate a series of time-limited and fully costed independent" probes. The Green Party said the public would never know "what the real stories were in these and other councils because Fine Gael and Labour are in control of both local and central government". * "Significant irregular practices and administrative deficiencies" existed at the authority. Over 120 recommendations on reform had already been made by a previous report before this review. Complainants had alleged that the council had "operated a system of nepotism towards favoured planning applicants", that it fast-tracked certain decisions and even facilitated "haphazard development" in areas lacking facilities. * It was also alleged that decision-making for planning grants and refusals were "irrational and non-evidence based". * The report found no evidence of wrongdoing. Concerns about administration and irregular practices are already being addressed through the previous report, it said. No independent investigation was needed. * The county manager is expected to report to the minister about reforms by June. * The report upheld complaints by An Taisce that the authority was not adhering to legislative and policy obligations in granting planning permission in some cases. Complaints related to 25 cases where planning decisions by the authority were overturned by An Bord Pleanála. The permissions had related to one-off housing, developments, and commercial projects as well as windfarms. However, the report noted that this was not a huge number of appeals. * It rejected claims that the authority had disregarded its own development plan. * The county manager had considered EU obligations in originally deciding on the 25 planning cases, it added. * The report says all future planning permissions granted that are contrary to a council’s development plan should be submitted to An Bord Pleanála. * The main complaints came from a former employee with the council. Allegations were unclear and often lacking in specifics, it said. Unsubstantiated claims included that developments built were not in accordance with the permission granted, and that some invalid applications were actually validated. * However, the report found the former employee had not produced evidence of wrongdoing. The allegations were "contrived and manufactured" to discredit certain officials and the authority’s planning department, it found. * It was claimed that landowners had brought forward their own action area plan for significant rezoning of lands. * The complaints had been made in relation to a series of developments in Bryanstown, within the council’s area. The complainant had alleged that he had had an "understanding" to deliver a stadium for Drogheda United and that he would also provide a motorway M1/N1 link. In return, the Bryanstown land would be "rezoned residential". * These claims though were not reflected, though, in the council’s own final area plan, the report said. If it had been adopted, the report said, it is likely that the south Drogheda area would have had many vacant and unsold properties. The report stated that Meath County Council had acted properly in the case. * The report says the minister must examine whether it is appropriate in future that developers and landowners bring forward their own area plans. * There was no indication that council staff or councillors did not act correctly, it added. * It was claimed that certain provisions under planning legislation were "systematically subverted" and that some decisions were "undocumented" and "hidden" through the role of a liaison officer. The claims were made by An Taisce mainly in relation to planning in the West Cork area. * The report found that, under the current legislation, it was acceptable for a person with interest in land to consult with the planning authority. * A report of the liaison officer was also made available for public inspection, it added. * However, the role of such a liaison officer for a council in future cases needed "further scrutiny". * There was scope for an independent planning consultant in Cork, it added. * Complaints centred around appeals to An Bord Pleanála regarding high buildings, mainly in the Dublin 4 area, and decisions made between 2006 and 2009 under the council’s development plan. * The lack of clarity around height policy was addressed in the subsequent 2011-2017 development plan, the report said. * The council now also say that concerns about the holding of pre-planning meeting records have been addressed. The city council did admit to complainants An Taisce that those records had been incomplete. nThe report added: "Properly maintained records of pre-application consultations are essential for the purposes of full transparency and accountability in the planning process." * The report says that any decision by the authority which is overturned by An Bord Pleanála should be reviewed. * There was no evidence to back claims that officials improperly encouraged applications which breached the development plan, it said. * Concerns centred around the holding of pre-planning meetings with the authority. * The complainant, a Green Party member, said files on such meetings were only made public after a planning decision was made. * The council said it was happy that files on pre-consultation meetings were only released after a decision was made and that it had acted according to legislation. The case was shut after a probe by the ombudsman backed the council’s defence. * However, there also remains confusion about differences of interpretation over the handling of such files according to legislation or development management guidelines. An Bord Pleanála has allowed floodlights to be erected at a soccer pitch in Listowel, Co Kerry, but has attached conditions following an objection on the grounds of light pollution. This is the second time the board has been asked to adjudicate on light pollution at a facility in Co Kerry in recent months. Planning sources said there was increased scrutiny of light as well as noise in planning applications, and interference attracted a growing number of objections from third parties. The number of new houses being built and planning applications being submitted is continuing to fall although the rate of decline has slowed since the start of the year. The National Housing Construction Index by Link2Plans shows that planning applications for housing during the first quarter fell by 20%, compared to the same period last year. Managing director Danny O'Shea also observed a 16% increase in the number of people extending their planning permission for up to five years. "Our researchers noticed an increase in planning applications for extensions of duration…Applicants are allowed to apply for an extension of the duration once only, for up to five years," he said. An oral hearing into the proposed abstraction of water from Lough Ennell to feed the Royal Canal has heard how 26km of canal are currently closed because of low water. Westmeath County Council’s presentation to An Bord Pleanála outlined how Lough Owel, which also supplies all drinking water to Mullingar and its catchment area, can no longer support domestic and canal supplies. LAND ON an urban farm in Dublin that was sold to developers for €16 million at the height of the boom has been bought back for less than half the price. Airfield Trust, which runs Airfield farm and gardens in Dundrum, yesterday announced it bought back Dudley’s Field, 3.5 acres it sold in 2005 to developers Colum and Ciarán Butler. MULTINATIONAL microchip manufacturer Intel is seeking planning permission from Kildare County Council for a 162,000sq m new plant at Leixlip, confirming it as one of the sites it has chosen to produce its next generation of microprocessors. If the project goes ahead it is estimated building the facility could create at least 1,000 jobs, and is likely to attract bids from leading players in construction and engineering.